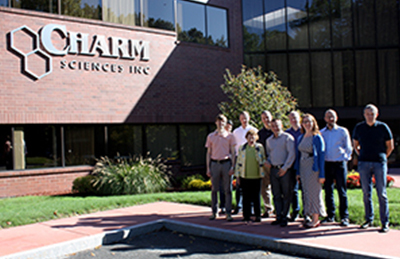 Charm Sciences is the global leader in rapid diagnostic tests across many industries. We achieved our reputation through our commitment to developing reliable, simple and innovative technologies that meet (and even foresee) our customer’s needs. We work closely with regulatory agencies to obtain validations, and are used as the diagnostics testing supplier of choice for many. Our 3 factories in Massachusetts manufacture all reagents, equipment, even software and firmware. Because of this vertical integration, our customers have access to the same core test manufactured under different sensitivities as per their requirements. We can easily customize a solution for our customers’ needs. 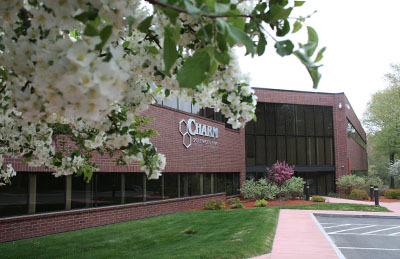 As a company built on innovation, Charm Sciences continues to lead the way in providing cutting edge tests to meet the most demanding requirements. It is our goal—and source of pride— to provide peace of mind to our customers. Charm Sciences is committed to providing and continually improving safe, effective, and sustainable high quality food safety diagnostics (tests, equipment, and services) that meet or exceed regulatory requirements, label and sales literature claims, and customer needs. While our testing solutions help keep humans and animals healthy, we are also committed to keeping the earth healthy. Our sustainability program encompasses not only our products, but our technology and our buildings as well. The following are some examples. Charm swabs made of recyclable materials (recycling code 2, 5 and 7), but, in addition, the environmentally-friendly swabs leave only residue that is Generally Recognized as Safe (GRAS) on food contact surfaces. Unlike some companies’ products which employ sodium azide, Charm swabs do not contain any hazardous chemicals. Charm Sciences was the first to develop and market Water Extraction Technology, a process that allows customers to extract mycotoxins (aflatoxin, vomitoxin, fumonisin, ochratoxin, T-2/HT-2 toxin, and zearalenone) from feed and grain without the use of ethanol or methanol. We are proud this breakthrough has helped improve worker safety, protect the environment, avoid fire hazards, and reduce the accumulation of hazardous chemical waste. Our latest facility, located in Andover, MA, is a 60,000 square foot environmentally friendly building. It houses our new training quarters, Research and Development, manufacturing of new products, and allows for expansion into future technology advancements. Before we moved people in, we took the opportunity to revamp the all-electric heat building and make it as energy efficient as possible. In addition to the typical updates (LED lighting, insulation, etc.) we invested in a state-of-the-art variable refrigerant flow HVAC system. The total transformation was so impressive, Mitsubishi Electric wrote a Case Study of the newest Charm Sciences facility renovation. We recover what would normally be waste heat from clean rooms, IT rooms, and the air compressor mechanical room, and transfer that waste heat to make domestic hot water. An added bonus is that we use this waste heat to melt snow and ice on sidewalks around the building. Charm Sciences is working towards ENERGY STAR® Certification in keeping with its corporate standards to use the greenest utility solutions possible.